The power of light streaming through translucent colored glass has graced churches and cathedrals for centuries. 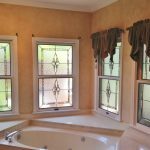 The design and creation of windows using colored, beveled, etched or textured glass is an ancient art form that dates back at least as far the first century A.D. 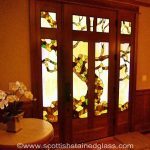 The most common use of stained glass has always been to incorporate it into windows, which, for many years, was only even done in churches. 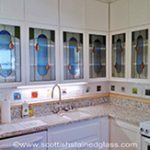 Over the years, however, stained glass has become a more versatile product, often used in homes today. 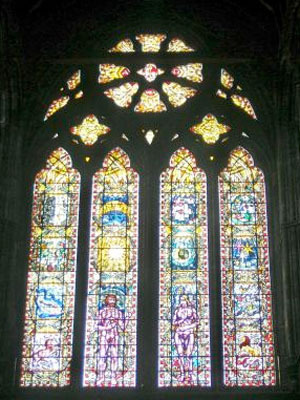 One of the oldest examples of a window with multiple colored glass pieces was discovered at St. Paul’s Monastery in England, which was founded in 686 A.D. 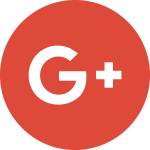 This building has many depictions of biblical scenes, and beautiful designs in colored glass throughout, which is the type of stained glass many people think of even today as traditional. 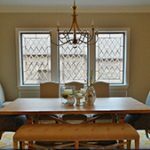 The Gothic age produced the great works in the cathedrals of Europe, and gorgeous examples of the art of colored and leaded glass windows can be found in the Middle Ages and Medieval times, through the Renaissance period. 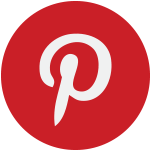 The rise of Gothic styles in Europe gave way to one of the most popular stained glass designs; the rose window. 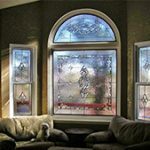 This is a circular window that has very intricate designs, and many small pieces of colored glass. 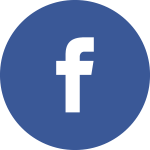 During the Middle Ages, stained glass grew into something more artistic, and this was the start of using colored glass to depict stories and biblical events. 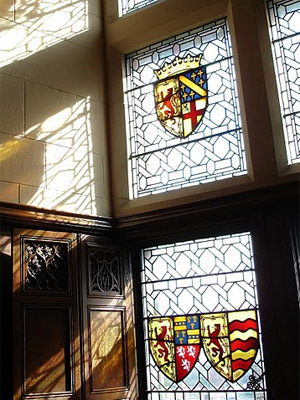 This type of stained glass is probably the most well known all over the world because of its heavy presence within churches, even recently built facilities today. 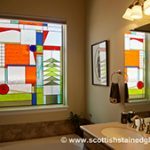 Ancient Egyptians and Romans even worked with stained glass, and over the years this beautiful artwork spread quickly throughout Europe and the Middle East. 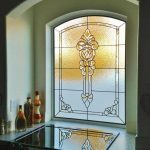 Designers in the Middle East were some of the first to used colorless stained glass to create the leaded, clear styles that are popular in homes today. 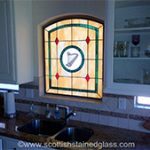 Scotland is full of churches and homes that incorporate stained glass in many different forms. 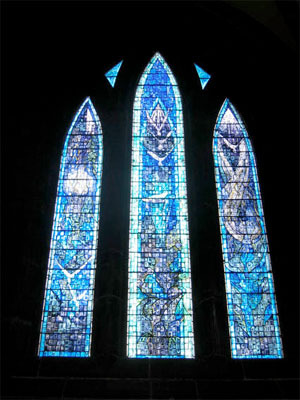 Many churches, as you can see below, use these windows both to depict stories, and also in beautiful designs that let light flow into the room in interesting ways. 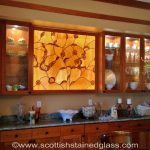 You can see thousands of antique stained glass panels all over Scotland, and this art has become very well-loved throughout the area. 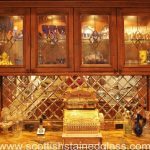 At Scottish Stained Glass, we are inspired by the history and the beautiful antique glass pieces all over the world. 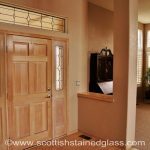 Founder, Martin Faith, actually learned the art of traditional glass making in his home of Scotland, and we take pride in not only building beautiful stained glass pieces, but also in using the best materials and the best techniques to improve upon traditional works. Indeed, with the exception of some upgrades and innovations, and our own unique approach to cutting, joining and soldering the materials, we practice this ancient art not that differently from our comrades of old. 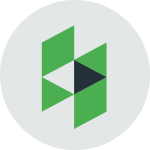 But our masterpieces are no longer available only to great churches or houses of royalty, but to any homeowner or building owner who desires beauty crafted from light in their surroundings.